Some of you know I am currently updating my older patterns. Why is that? It is not because I’m still in that phase. And it is not because the patterns aren’t good enough either. There are two things that bother me. The first is, some of the older patterns are not text edited by my amazing editor and therefor contain silly mistakes. Just typos and weird sentences she has helped me with over the past few years. The second thing is, I am not satisfied anymore with the pictures some of them contain. 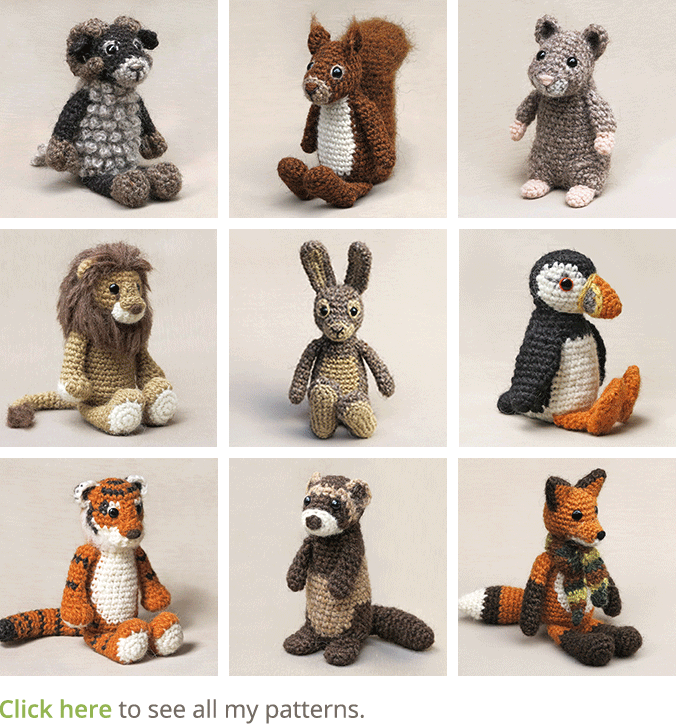 When I started designing these crochet animals, I didn’t pay that much attention to the backgrounds of the pictures. Along the way the backgrounds have become cleaner and nowadays they basically just are a sandy warm colour. I have thought of shooting against a white background, but found that a bit too clean. Because I’ve already designed so many animal patterns, I’m not going to do new photoshoots for all of them. Even though the older pictures aren’t as neat as the new ones, they do their job as instruction photos. 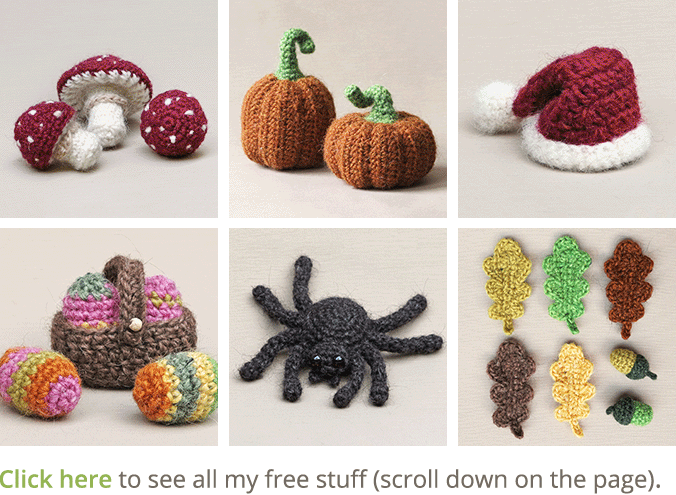 The pictures I am replacing are the promotion pictures you see in my pattern page and the shop listings. The reason for that is, I want my shops to have a clean and professional look. Flam the fox. The doll itself only got a neater body, the pattern received a complete update with new and shiny pictures. This one needed it the most! Click image to view the new post. Flims the hedgehog. No changes to the doll, only a pattern update. Hopefully no more silly mistakes and better images. My editor commented ‘you cannot call a hedgehog a hog’. Oops, no more hog then! Click the image to view the new post. Wasby the raccoon, like Flims, no changes to the doll, only a pattern update with more and better pictures. Click the image to view the new post. 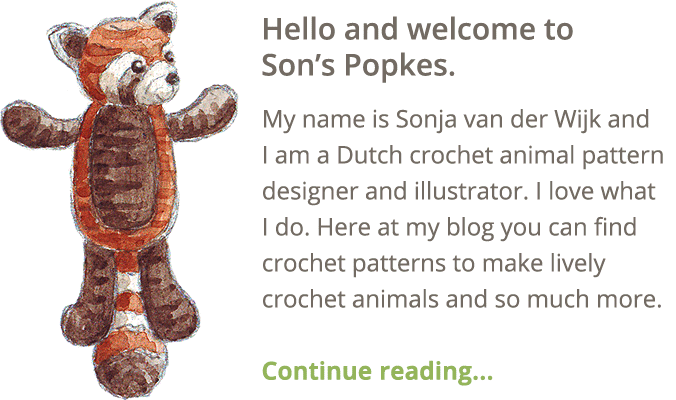 Keep up the good work Sonja, at your own pace of course! We all appreciate everything you do x 😀. I really enjoyed it when you called the hedgehog a hog. Hehe, it must have sounded quite funny, and imagine finding a hog underneath your hedge!